My writing friends take me to their worlds. We might spend time with a bounty hunter in Las Vegas or look over the shoulder of a small town Kansas cop. We are in the future – a bleak one – in the Pacific Northwest. We relive the turbulent ’60s in the South. Or we are in Czarist Russia experiencing life through the eyes of a teenage girl. We are in medieval England. 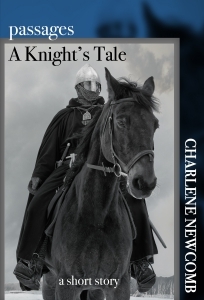 Charlene Newcomb is currently working on Book III of her Battle Scars series, 12th century historical fiction filled with war, political intrigue, and a knightly romance of forbidden love set during the reign of Richard the Lionheart. There will be more to come, so sign up for Char’s Newsletter. It will be used – sparingly – to offer exclusive content and and to let you be the first to know about special offers. Published a novel. Now what?